These red velvet cookies are lightened up with a few simple swaps and are actually pretty easy to make! They start out with a rather traditional red velvet cookie and are then filled in the center with an easy-peasy white chocolate fudge. Can you believe it…? I STILL have meat in my freezer that’s leftover from Christmas, y’all! The turkey has now OFFICIALLY been all used up. (Though there is still plenty of ham socked away. - Someone buy me a deep freezer please and stop this madness!) With all this meat still taking over my freezer, I’m still working on coming up with delicious ways to use it all up. Who the hell ever said that black-eyed peas had to just be a New Year’s day thing? Yes, I’m deliberately posting this recipe AFTER the first of the year to be a bit of a rebel. Every year in my house, it’s the same old debate. What do we do with black-eyed peas to make them more edible. Let’s face it, black-eyed peas earned their nickname ‘dirt peas’ for a reason. Over the years, I’d like to think that I’ve come up with a few clever ways. With New Year’s Even just around the corner, I was thinking there would be no better time than now to make some Rosé soaked strawberries. By why stop there? I decided the best thing to do was to cover those things in some dark chocolate! This is how adults do ‘jello shots’ right? 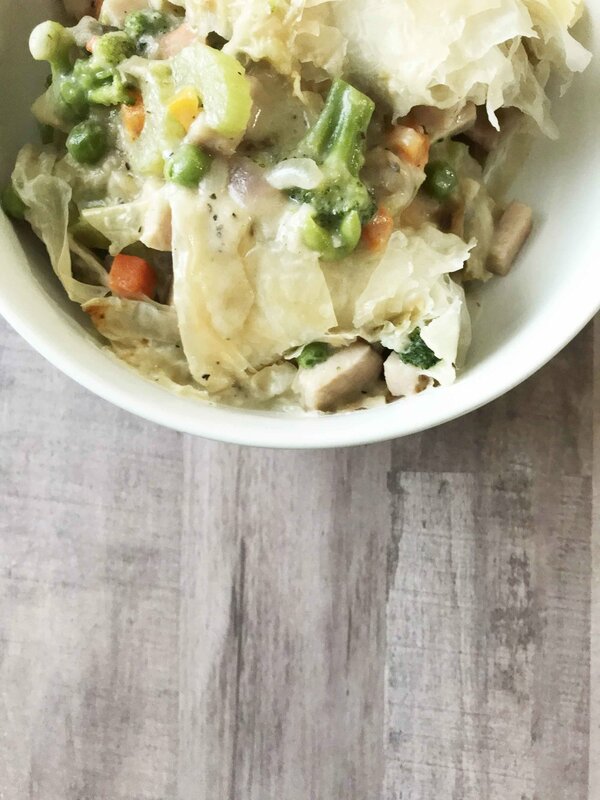 Here’s another recipe from years back that needed an update in the looks department… but, not so much to the recipe itself! Here’s the original post below. The madness is just about over here with the mass of holidays! Phew, thank goodness! I was happy to step back and have a few days to spend with my family, but now it's time to get back to work. Okay, so... here we go. 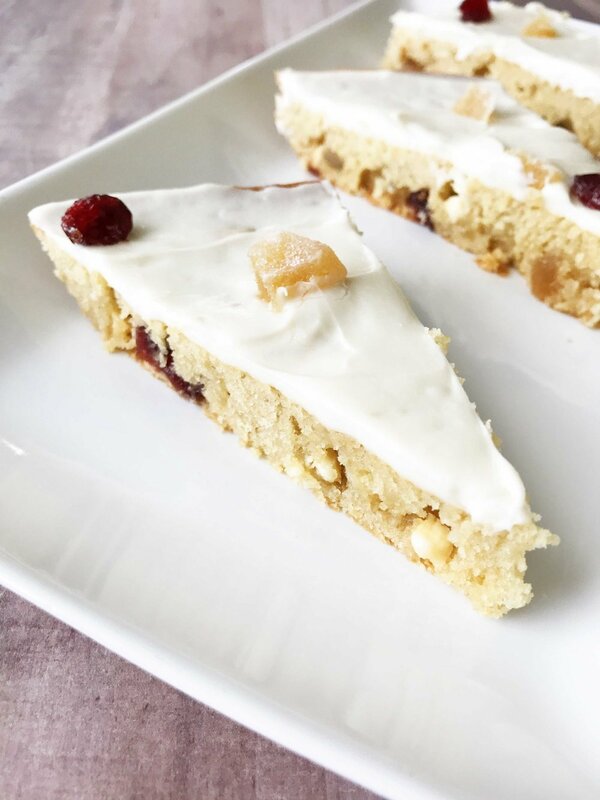 I've been wanting to make a skinny variation of the Cranberry Bliss Bar that they have Starbucks for a long long long time now. I have, in fact, had this recipe in my handy-dandy little note book for quite a while now (about two years actually) but for whatever reason it keeps getting pushed back each year. Cookies are in season right now, and these Skinny Hot Cocoa Cookies are where it’s at! 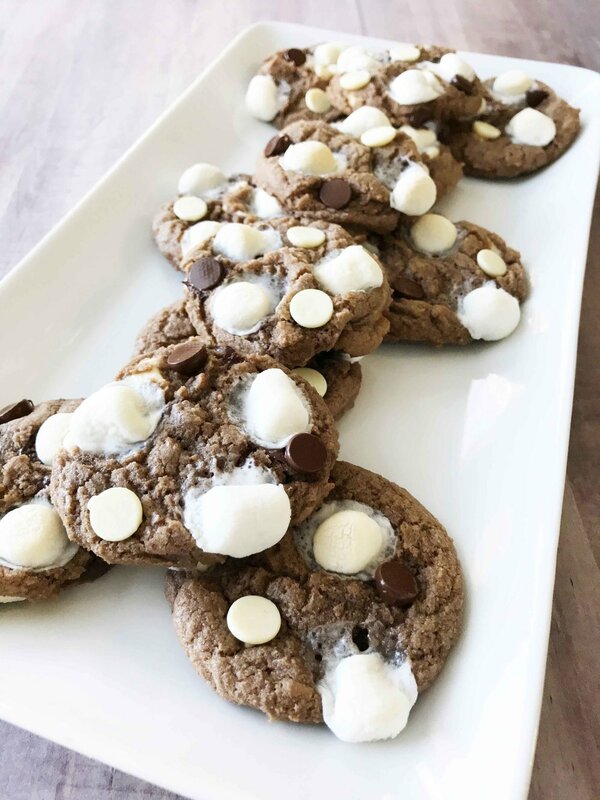 Their a cocoa flavored chocolate cookie base that’s loaded up with plenty of white chocolate, semi-sweet chocolate, and YES even marshmallows. It’s basically like eating a mug of hot cocoa… if you eat them warm and fresh out of the oven especially!